Oceanfront Deerfield Beach Dining at its Best! WELCOME TO THE PATIO BAR AND GRILL! Pull up a chair just feet from the white sand beach, grab a refreshing drink and relax — those are the primary orders of business at the Patio Bar and Grill, a casual Deerfield Beach dining venue located onsite at Wyndham Deerfield Beach Resort. Whether you are gearing up for a busy day of beach adventures and South Florida sightseeing with a hearty lunch, or grabbing an afternoon snack or drink, our oceanfront grill is the best place in town for casual Deerfield Beach Dining. Come evening, if you’re looking for a romantic, yet casual Deerfield Beach or Boca Raton dining experience, settle in for a delicious evening meal, with plentiful small plates, appetizers, mouth-watering entrees and delicious desserts. Our “beach casual” bar is the ideal place to relax with great company, enjoy a stellar view of Deerfield Beach and a cool ocean breeze. Grab one of our signature martinis, creative coffee drinks or hand-crafted cocktails and take in the stunning white sand scenery just footsteps away. With nightly live music, week day happy hour, and unbeatable late happy hour specials Sunday through Thursday, the party never ends at the Patio Bar and Grill – join us today! Seating is available by walk-in only. 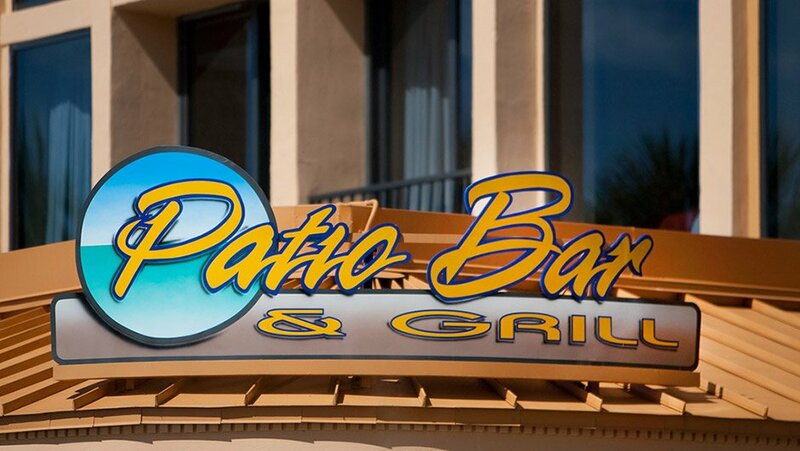 The Patio Bar and Grill accepts payment via cash, American Express, MasterCard, Visa and Discover. © 2019 The Patio Bar & Grill. All Rights Reserved.